When thinking about Thanksgiving dinner, there are certain things you can’t mess with, like the turkey, mashed potatoes, stuffing, and gravy. But when it comes to the vegetables, I say, the heck with tradition….is creamed spinach really necessary? 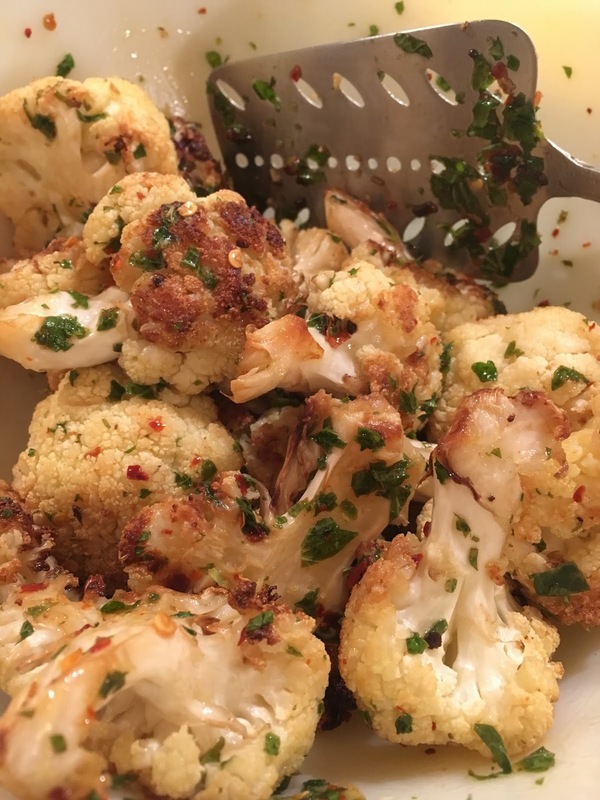 This cauliflower dish is not only refreshingly cleansing, but it doesn’t take up any space in the oven. And you can prep it the day before by breaking the cauliflower up into small florettes, chopping the mint, squeezing the lemon juice, and storing them separately in Tupperware in the fridge. Ten minutes before you’re going to sit down, steam the cauliflower until fork tender. Immediately drain, then toss in a large bowl with some extra virgin olive, lemon juice, chopped mint, and some red pepper flakes. Salt to taste.